Mindfulness (sati) i.e. to recognize the dhammas (phenomena or reality, two ways one can translate "dhamma"). Investigation (dhamma vicaya) of dhammas. Equanimity (upekkha), to be fully aware of all phenomena without being lustful or averse towards them. This evaluation of seven enlightenment factors is one of the "Seven Sets" of "Enlightenment-related states" (bodhipakkhiyadhamma). The Pali word bojjhanga is a compound of bodhi ("enlightenment") and anga ("factor"). aṅga - a part of a whole; factor, cause. In the Sutta Pitaka's Samyutta Nikaya, the bojjhangas refer to wholesome, mundane factors leading to enlightenment. In the Abhidhamma and Pali commentaries, the bojjhangas tend to refer to supramundane factors concurrent with enlightenment. [Bhikkhu:] "Venerable sir, it is said, 'factors of enlightenment, factors of enlightenment.' In what sense are they called factors of enlightenment?" [Buddha:] "They lead to enlightenment, bhikkhu, therefore they are called factors of enlightenment...."
During meditation, one may contemplate the seven Factors of Enlightenment as well as on their antithesis, the Five Hindrances (sensual pleasure, ill-will, sloth-torpor, restlessness-worry, doubt). In addition, one Samyutta Nikaya sutta identifies developing each of the enlightenment factors accompanied by each of the four brahma viharas (lovingkindness, compassion, sympathetic joy, equanimity). 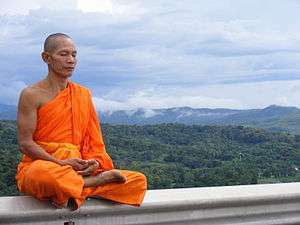 In the Samyutta Nikaya's "Fire Discourse," the Buddha identifies that mindfulness is "always useful" (sabbatthika); while, when one's mind is sluggish, one should develop the enlightenment factors of investigation, energy and joy; and, when one's mind is excited, one should develop the enlightenment factors of tranquility, concentration and equanimity. Again according to the Samyutta Nikaya, once when the Buddha was gravely ill he asked Venerable Mahacunda to recite the seven Factors of Enlightenment to him. In such a way the Buddha was cured of his illness. "Strong mindfulness ... is needed in all instances...."
"When his mind is slack with over-laxness of energy, etc., then ... he should develop those [three enlightenment factors] beginning with investigation-of-states..." (i.e., dhamma vicaya, viriya, piti). "When his mind is agitated through over-energeticness, etc., then ... he should develop those [three enlightenment factors] beginning with tranquility..." (i.e., passaddhi, samadhi, upekkha). In Meditation everyone most likely experiences two of the five hindrances (Pāli: pañca nīvaraṇāni). They are sloth and torpor (Pāli: thīna-middha), which is half-hearted action with little or no collectedness, and restlessness and worry (uddhacca-kukkucca), which is the inability to calm the mind. As indicated above, in the "Fire Discourse" (SN 46.53), it is recommended that joy or rapture, investigation, and energy are to be developed when experiencing sloth and torpor. Relaxation, concentration, and equanimity are to be developed when experiencing restlessness or worry. Mindfulness should be constantly present to remain aware of physical change as well as mental change in either skillful or unskillful direction. ↑ See, e.g., Rhys Davids & Stede (1921-25), entry for "Samādhi," retrieved 3 Feb. 2011 from "U.Chicago" at http://dsal.uchicago.edu/cgi-bin/philologic/getobject.pl?c.3:1:3397.pali . ↑ For instance, see Rhys Davids & Stede (1921-25), p. 490, entry for "Bojjhanga" (retrieved 10 Jul 2007). ↑ Bodhi (2000), p. 1499. ↑ Bhikkhu Sutta (SN 46.5), trans. Bodhi (2000), p. 1574. See also Walshe (1985), n. 265. ↑ For an example of a discourse that includes the juxtaposition of these two sets of phenomena, see the Satipatthana Sutta. For a group of discourses in which these two sets of phenomena are juxtaposed, see SN 46.31 to 46.40 (Bodhi, 2000, pp. 1501, 1589-94). ↑ SN 46.54, variously known as the Mettaasahagata Sutta (CSCD) or Metta Sutta (SLTP) or Metta.m Sutta (PTS Feer). See Bodhi (2000), pp. 1607-11; Walshe (1985), sutta 59, pp. 71-73. 1 2 "Fire Discourse" (Aggi Sutta, SN 46.53) (Bodhi, 2000, pp. 1605-7; Walshe, 1985, sutta 58, pp. 69-70). ↑ Gilana Sutta (SN 46.16) (Piyadassi, 1999; Piyadassi, n.d.). ↑ Buddhaghosa & Ñāṇamoli (1999), pp. 129, 131. Note that Buddhaghosa clearly references the last six bojjhangas in the last two cited statements. The first statement about sati (mindfulness), while immediately preceding mention of the bojjhangas, is technically in reference to the five spiritual faculties (indriya). See also SN 46.53 (Bodhi, 2000, pp. 1605-7; Walshe, 1985, sutta 58, pp. 69-70). Piyadassi Thera, Venerable (trans.) (1999). Gilana Sutta: Ill (Factors of Enlightenment) (SN 46.16). Retrieved 10 Jul 2007 from "Access to Insight" at http://www.accesstoinsight.org/tipitaka/sn/sn46/sn46.016.piya.html. Piyadassi Thera, Venerable (trans.) (n.d.). The Book of Protection: Factors of Enlightenment (3), Maha Cunda Thera Bojjhanga. Retrieved from "BuddhaNet.net" at http://www.buddhanet.net/e-learning/buddhism/bp_sut14.htm. Walshe, Maurice O'C. (1985). 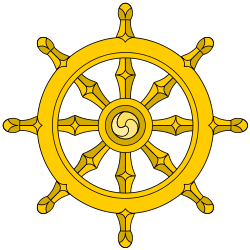 Samyutta Nikaya: An Anthology (Part III) (Wheel No. 318-321). Kandy: Buddhist Publication Society. Retrieved 2008-11-09 from "Access to Insight" (2007, 2009) at http://www.accesstoinsight.org/lib/authors/walshe/wheel318.html and, for an excerpted version of the "Fire Discourse" (SN 46.53), at http://www.accesstoinsight.org/tipitaka/sn/sn46/sn46.053.wlsh.html . Thanissaro Bhikkhu (trans.) (1997). Himavanta Sutta: The Himalayas (On the Factors for Awakening) (SN 46.1). Retrieved from "Access to Insight" at http://www.accesstoinsight.org/canon/sutta/samyutta/sn46-001.html.